After her parents' accidental death by mushroom poisoning, young Aurora Grimeon is sent to live with her estranged grandfather on Ossuary Isle, deep in the southern swamps. 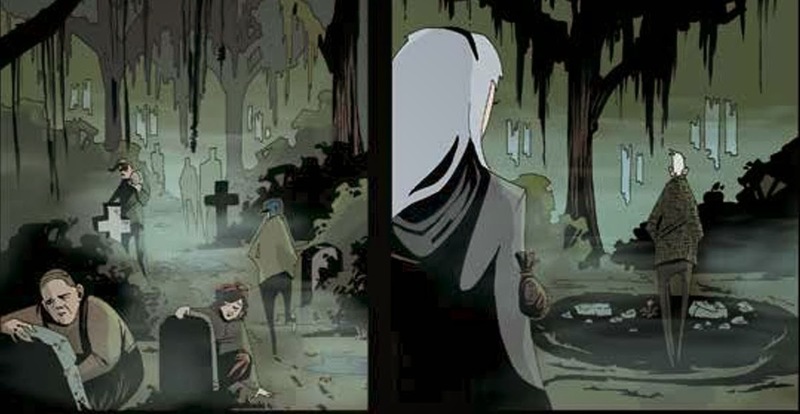 Joined by her grandfather's pet raccoon Missy, Aurora explores the fog-covered island of graves. Along the way she meets its sinister residents who care for the tombstones and mausoleums, living out their lives by the strange rules of Hoodoo magic. 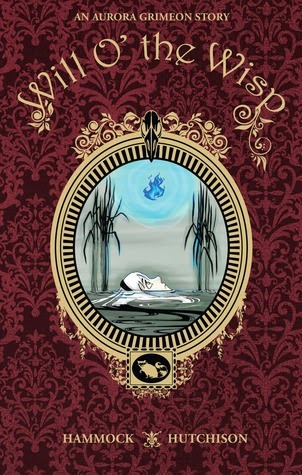 When ghostly things start happening out in the swamp and island residents start disappearing, Aurora thrusts herself into the middle of the mystery, uncovering secrets that might be better left buried. This isn't the type of graphic novel I would typically read, but I was able to get an advance digital copy so I thought I would give it a try and I'm glad I did. It has a creepy feel to it without going in to any kind of gory territory, so I think this would be OK for younger readers (young teen/preteen). The story kept me interested and the drawings themselves were a bit different. I don't mean different in a bad way or anything, just the style itself isn't something I've seen a lot of. It seemed to be based on a certain color palette and I think that's how the illustrator gave it the spooky/mysterious quality. I liked the characters a lot (and Missy the raccoon was really cute). The pacing and drawings were very well done. The story wraps up nicely at the end but I'm hoping there will be more to the story.